Qi (pronounced Chee), is the Chinese word for life energy, a vital force that flows through all living things. Qigong (pronounced Chee Gong) is a form of gentle exercise that uses different movements that are repeated a set number of times. They often stretching the body, increasing fluid movement (blood, synovial and lymph) and building awareness of how the body moves through space. While practicing Qigong, there are the external movements plus internal movements. The internal movement is the movement of Qi and blood throughout the body, especially the internal organs. Over time and lots of practice, you can feel this movement of Qi within the body. 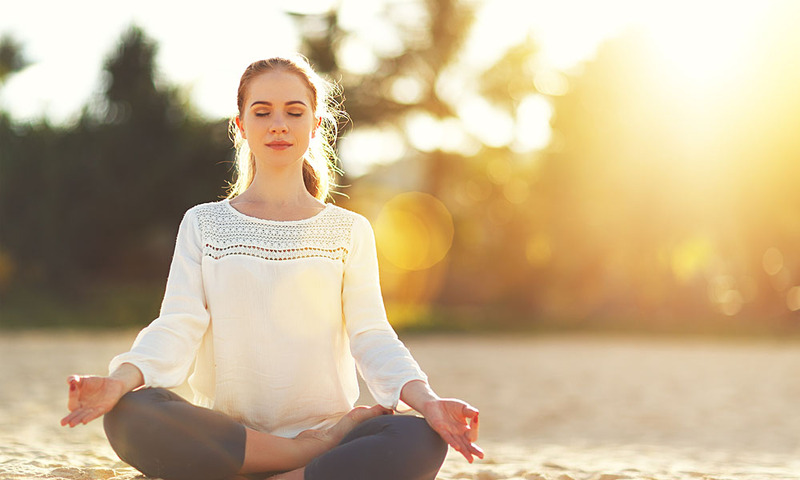 This is a simple but powerful Qigong exercise that if you practice daily will give you more energy, more oxygen in the body, help you to de-stress, and a calm and peaceful mind. Relax and expand your abdomen as you breath in slowly and deeply. Think of this as filling up a cup of water. The air will fill the bottom of the lungs first as you expand the abdomen. Then open and expand your rib cage. This will fill the air to the top of your lungs. Don’t force anything, it should be smooth, relaxed and easy. When the lungs are full, hold the breath for 2 seconds. Start breathing out, relax the chest, and gently contract the abdominal muscles. The out breath should be as slow and controlled as the in breath. If this is new for you, practice this breathing while laying down. Lay comfortably with a pillow under your head and a pillow or bolster under your knees. Rest your hands on your abdomen so you can feel the abdomen expand and contract with your in and out breath. This is also a great way to slow down in bed just before going to sleep. Stand with feet shoulder distance apart, knees slightly bent, and arms by your side. Keeping the palms towards the ground, start breathing in and slowly and smoothly raise your arms out to your side. When your hands get to shoulder level, turn your palms towards the sky, and keep raising them until they are above your head. Breathing in the whole way. Now start breathing out, unlock your knees, let your elbows unlock and draw your arms down in front of you, palms facing each other until chest level, then let them face the ground until they are back by your sides. Repeat this 10 times. Over time you can increase the repetitions for as many times as you like. You may also notice they become longer to do as your breathing capacity increases and your control over the breathing becomes more efficient. At the end of the last one, hold your hands one over the other on the lower abdomen, continuing your deep and slow breathing. Stand like this for a couple of minutes, or as long as you like. As the arms are raising out to the side and the palms are facing down, imagine you are absorbing energy (Qi) from the earth, when they turn to face to sky, imagine they are absorbing Qi from heaven. When you are bringing your hands down in front of the body, imagine the energy you have gathered has come down through your head, and feel it washing down your head, neck, chest, belly, legs, and feet, and then into the earth. You can imagine this as an internal shower, and that you are cleansing your internal organs and other structures. You can imagine the energy or Qi as a white or coloured light if this helps your visualisation. This exercise is about absorbing energy. Try to keep your muscles soft and relaxed. It isabout releasing tension so use a gentle focus to release any tight areas you become aware of. It is about slowing down the mind and calming your emotions. The breathing is key to this. Breathing is the bridge between the body and mind. Once you can slow down and deepen your breathing the body and mind will follow suit. Soft, slow, deep, even breathing results in a relaxed and soft body and a calm, quiet, still mind. 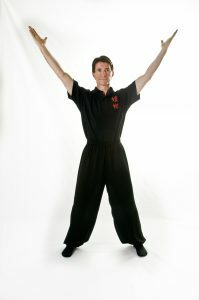 If you want more engaging Qigong then check out our regular classes. Your body, mind, and spirit will thank you for it! !